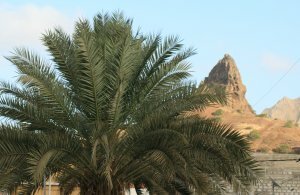 Sao Nicolau is a volcanic island with the peak of Monte Gordo, 1304m high. Discovered on Santa Claus Day 6th December 1461. In Portuguese he is known as Sao Nicolau or in English Saint Nicholas. Only later did this day become associated with Christmas. For a long time , it remained uninhabited. 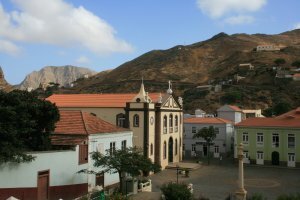 Sao Nicolau was first settled at Porto da Lapa only in the I7th Century. Pirate attacks forced a move inland to Ribeira Brava, and the port switched to Preguica on Sao Jorge Bay, which has had a fortress since 1818. 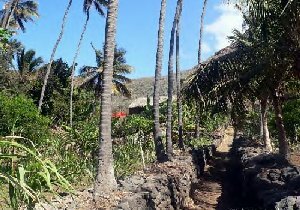 Sao Nicolau is one of the more fertile islands since rain does fall here in the Autumn. Oranges are grown as well as coffee high up on the slopes of Monte Gordo. Maize or sweet corn grows in the valleys. . There is enough greenery for horses and a few live contentedly in the relatively mild climate. Walking is one of the special pastimes of Sao Nicolau and there is a route that follows the main spine of the island. A town of narrow streets are lined with pretty colour-washed houses, with a fine old church and mission school in the town square. Beautifully kept flower gardens and just a few restaurants. The fishing port of Preguica is on St George Bay, with a fine view of Caldeira, the extinct volcano known as the cauldron. It is a small place with a population of only a couple of thousand, Many of the native born emigrate to Sal for work. 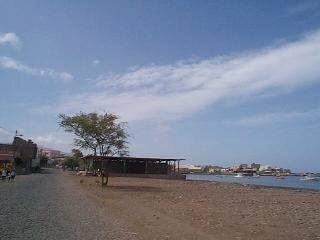 The main fishing harbour and beach of Sao Nicolau and also the main ferry port. 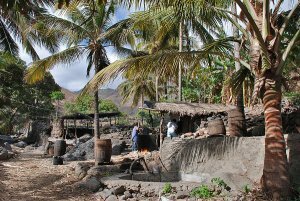 The town of Tarrafal is renowned for its beach of black sand, rich in titanium and iodine, and visited by many people in search of relief from rheumatism. Nearby is the Rocha Escribida or written on rock face with some unclear inscriptions, which may be very ancient, possibly Chinese. This is the island that hardly anybody visits. 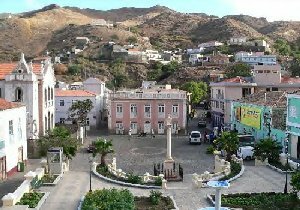 You can reach it by ferry from Mindelo or Praia, usually on Wednesdays and Thursdays and sometimes from Sal on Sundays, but only with special permission which is rarely given. Or you can fly from Sal, Praia or Mindelo. It is the best place to catch blue marlin in the Cape Verdes and one of the best in the entire Atlantic. 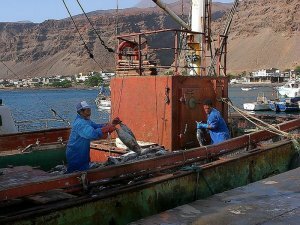 The seas around the island of Sao Niciolau are rich in tuna, wahoo, blue marlin and swordfish. Fishing here can be more productive in terms of weight of fish caught per dollar spent than almost anywehre in the world. 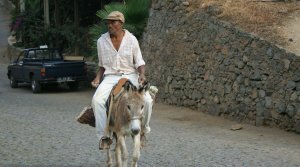 It also offers wonderful walks along the mountain ridges and horse rides along the mule tracks.alleys.There is a wide variety of attractive tracks in different landscape, from volcanic lave to empty beaches, green valleys and savannah. 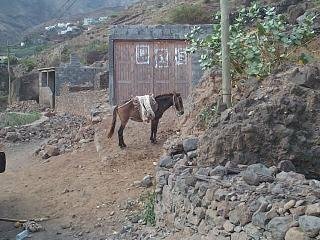 Monte Gordo is not as high as peaks on other islands but there is a network of former mule tracks criss-crossing the entire which make for easier waiking than on Santa Antao or Fogo. A from South Africa went out to Raso. "A fishing boat took us from Tarrafal harbour to Raso and Branco On Raso, walk to the booby colony and the lark area in fine, sunny weather. Stay in Raso then proceeding to Branco, where we camped for the night in the open, on the beach. We explored the south tip of Branco (Ponta Delgada) in the afternoon, and in the evening, where we watched the seabirds come in from the sea to their nest holes in the flat, sandy area near the tip. Beautiful sunrise and early morning on the beach of Branco. 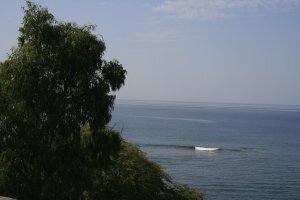 We were picked up by the boat, and returned to Sao Nicolau, on a very quiet and sunny day, with very calm sea. The rest of the afternoon and evening, we relaxed at Hotel Alice. We drove to Ribeira Brava along the north coast, east to Juncalinho and Jalunga. Visit to an impressive rockpool at the shore. Returned to Ribeira Brava for lunch. We returned to Tarrafal, with a stop over near the island's highest peak, Monte Gordo. Dragon Trees and small patches of indigenous forest was seen here. We passed through Tarrafal, and went straight to the south western point of Barril, at the abandoned lighthouse. We watched seabirds, dolphins and whales from this point. " B & S from Iowa took the ferry but left by plane. 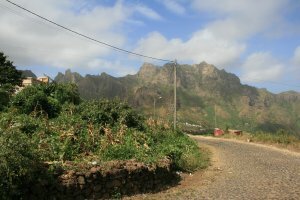 "Seasickness hits Later in the week, our journey aboard the Ferry Tarrafal (which took us from Praia to Tarrafal on Sao Nicolau) proved to be a real test of intestinal fortitude and Dramamine. We disembarked at 8 p.m. in seas that were expected to be a bit rough for "inexperienced travelers." Soon after the ferry emerged from the shelter that Santiago provides from the easterly winds, the seasickness set in - mostly among the Cape Verdeans. It was a long, mostly sleepless night until we neared Sao Nicolau and the shelter of the bay at Tarrafal 12 hours later. Our driver met us at the landing with his pickup truck. With Sue in the passenger seat and the rest of us on wooden bench seats in the back with the luggage, we set off up a winding, washboard gravel road through mostly treeless, desert-like, rock-strewn landscape. Over a pass several kilometers from the coast, the interior was increasingly green if not exactly lush. About halfway through the hour's drive to Vila da Ribeira Brava, our son's Peace Corps home, the gravel gave way to cobblestones and we reached the northern coast. Architecture differs Ribeira Brava is home to about 2,500. In marked contrast to Praia and Santiago, the architecture and atmosphere are more Portuguese and Mediterranean than African. As in the rest of the nation, fresh water is always in short supply and indoor plumbing is scarce outside the larger towns. Women carry water home from community water stations, which are replenished by tanker trucks, in containers on their heads, in pushcarts or on the backs of donkeys. Although these islands are considered "developing," it's not unusual to find families with cell phones and teenagers listening to iPods. Jobs are few and many Cape Verdeans work in the United States, Italy, Brazil and Portugal to provide for their families. We stayed at the Pensao Jardim, a few minutes' walk from the town square. With colorful tile decor and lush greenery (jardim means garden), the hillside hotel features a commanding view of the town and valley from its second-floor patio. Breakfast and dinner are served al fresco in a rooftop dining area. Other guests during our stay, from Holland, were there for the hiking, for which Cape Verde is becoming increasingly well-known. Christmas dinner We were invited to Christmas dinner with a family in Ribeira Brava, who cooked a stew of fresh-killed young goat, potatoes and onions in honor of the occasion. Before we had even landed on Sao Nicolau, we'd agreed to avoid the 12-hour ferry ride back to Praia. 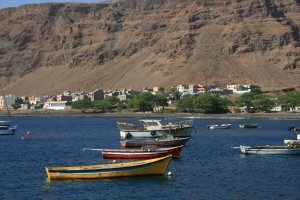 Instead, we booked seats on a plane from Ribeira Brava (the airport is a 10-minute drive from the hotel) to the island of Sal for a six-hour layover, then to Praia."